Bridle refinements for improved flight stability and agility. New strut to leading edge connection. 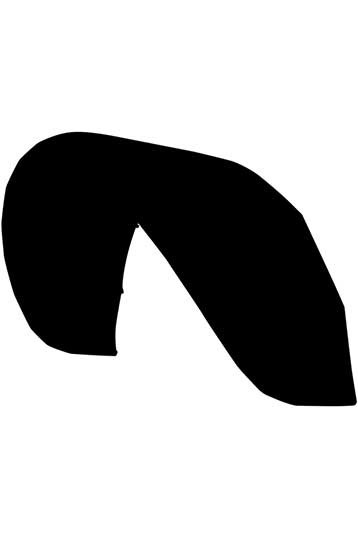 New rounded LE end closures ensure a true finish without deformation. Extra long 30cm 2-ply on the leading edge bladder ends. New “Absolute mirror” construction ensures the kite flies straight and true to the design. 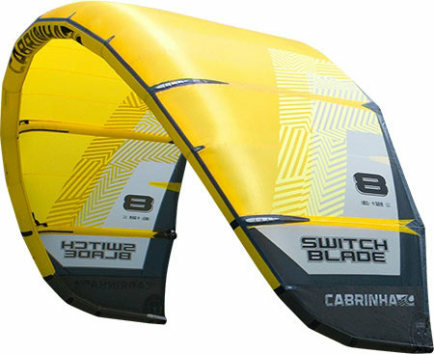 The new Cabrinha Switchblade 8m is a real Allrounder with a wide wind range. 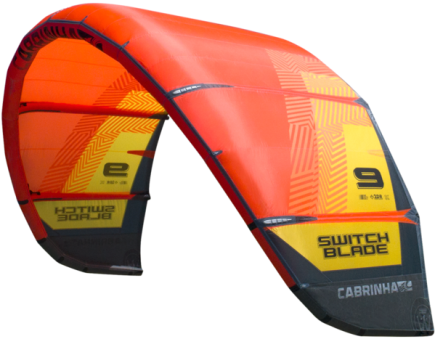 Although the Switchblade is not an aggressive kite it will challenge you. Use it in its higher wind range and you have a real glider. At its low end you can use the Switchblade 8m on your surfboard in 12 knots. This is the great thing about this kite. If you check out the characteristics you will see the Switchblade wide range of usability! Well done! New push away safety, the bar is pretty heavy but the system works very well. The Switchblade in +20 knots is fun to ride. Easy, stable and sheet and go. Jumping by pulling the bar is very easy, just hold your edge! Soft lift, easy glide always bar pressure. Above 20 knots you need to edge harder to hold your upwind course. De-power stroke is pretty long. 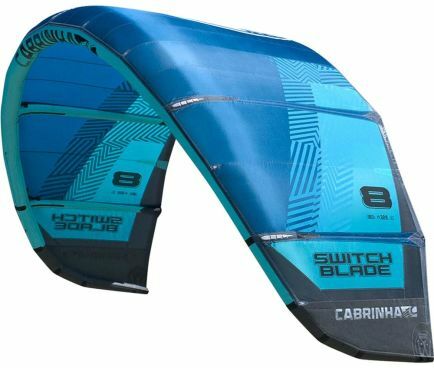 Two strapless kite sessions with the new Cabrinha Switchblade 8m. Other people were out on a 10m or 12m, the 8m was enough for me. Great low-end and easily getting upwind for another downwind wave ride. The Switchblade is stable with a great drift. Could be a bit faster for an 8m and sometimes the kite loses pressure while turning, but you can feel that this kite is tuned in a wide wind range. Soft and trustful in its low end, can't wait to ride it in it's high end wind range. 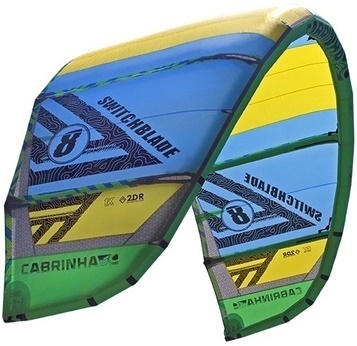 The Cabrinha switchblade is a great all around kite. compared to previous year models this is by far the best. 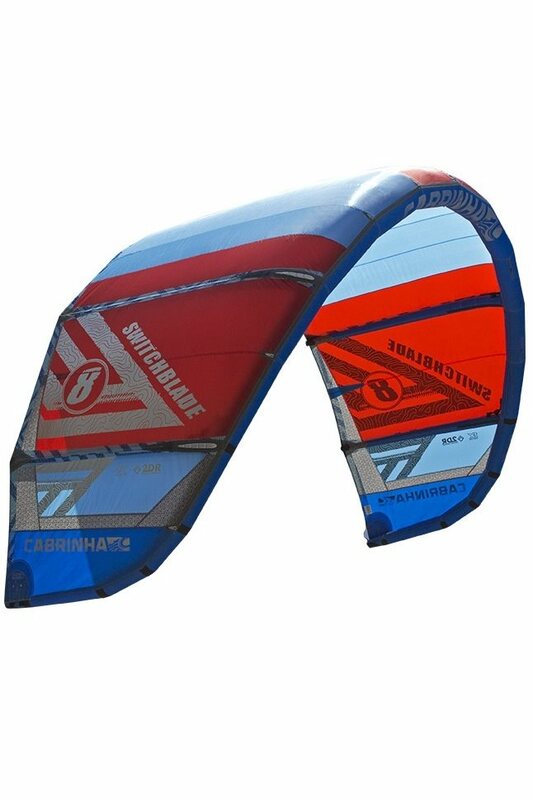 It is very responsive, has descent bar pressure, which gives you a better feel for where the kite is and is very durable. 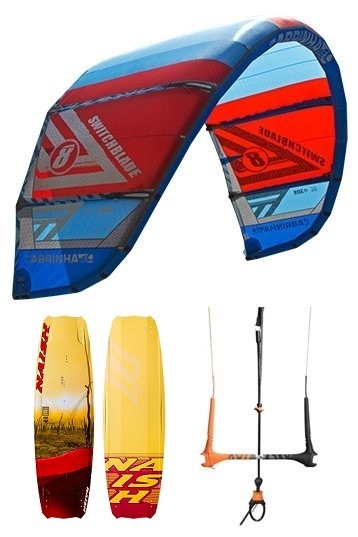 We love this kite as do many of our customers and they rate this on the top of their list. The down side to this kite is Cabrinhas complicated control bar. It is difficult to coil up because of the large tubing that goes through the bar. Is also uses above the bar straps to power and depower. DePowering isn't that difficult, but powering up the kite can be a challenge if the wind is pretty light. The 2015 bar is much improved from the previous years. The QR system is extremely nice and can be put back together almost single handedly. The bar is very comfortable and the make and adjustable width bar and a fixed length bar. The adjustable bar is easy to change the width of the bar, making it convenient if you have multiple kite sizes. Overall it is one of our most popular kites.